27.10.2012. London, UK. 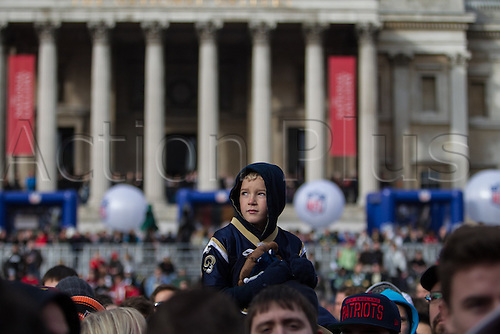 A young St Louis Rams fan looks on at the NFL Fan Rally in Trafalgar Square ahead of the NFL Pepsi Max Internation Series game between the St Louis Rams and the New England Patriots at Wembley Stadium on Sunday 28 October.